Malta is one of the world's smallest and most densely populated countries. Who would have thought that this little country produces a world standard lager. In fact it won the 2007 'Beers of the World' award for best traditional style lager. Hopefully it's still good. I do like a good Dortmunder, DAB is one of my favourite beers. A good Dortmunder is defined by a strong malty flavour with a dry finish and intense flavours. I really like the look of this beer, the yellow label is very striking and is actually the reason I picked this beer up, good thing I did as with only 300 square kilometers of Malta there probably aren't too may other breweries. The pour of this beer is quite cloudy for a Dortmunder, however the colour looks excellent and there do still appear to be bubbles rising. The head is disappointingly small, but brilliant white in colour. The small head that is present has excellent retention, which more than makes up for what it lacks in volume, this in turn laces the glass nicely. The appearance of this beer has certainly piqued my interest! After my first sip of this beer I was not a fan, 3 sips later and I think I may have found a beer that could oneday become a fridge regular! This is a really exceptional, if slightly strange, Dortmunder. The beer tastes as it smells, slightly sweet because of the malts but brilliantly balanced by the high quality hops. The hops are quite floral and there are grass and citrus elements at the end. It's a superbly balanced beer and the dry finish is exactly what one would want from a Dortmunder. This really is an exceptional beer! 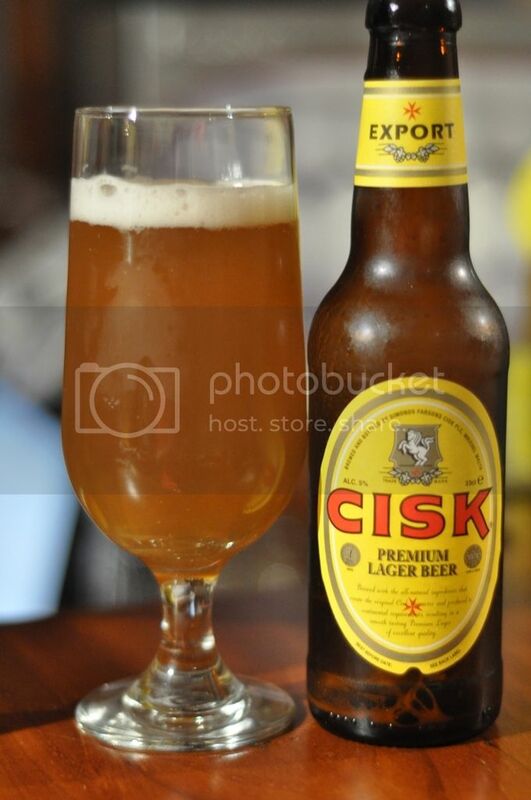 Cisk is highly drinkable and would make a fantastic session beer, as it is quite light in the mouth and the flavours are light and exceptionally tasty. I don't think there would be a person around who could say they are offended by the flavour of the beer, maybe the smell would annoy some but the beer excellent. It's pretty cheap as well, I would suggest buying it if you see it, and trust me if it's there you'll see it! Get some and try it for your self!